Awesome can be used for the lack of words for this motorcycle. 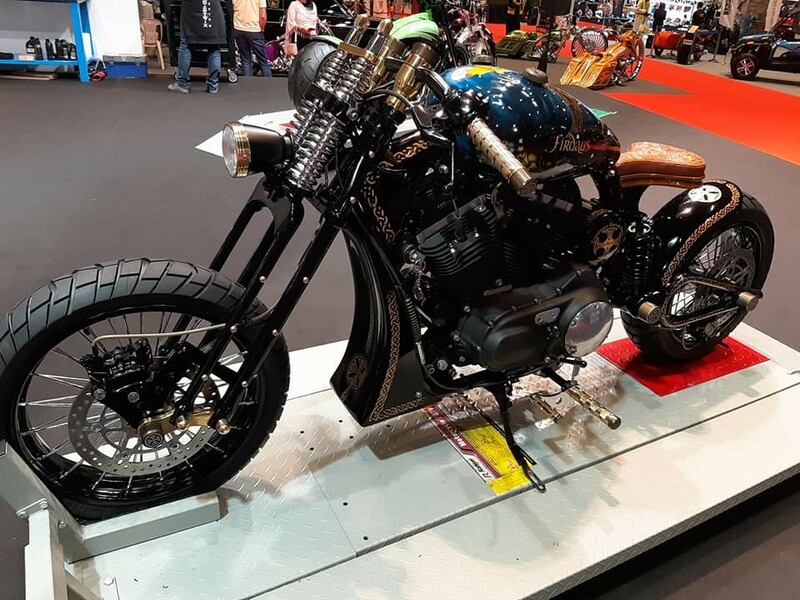 Drenched in one-off designs and artwork, this motorcycle started its life as a Harley-Davidson Sportster XL1200X, completely bone stock, until Mr Adil Dumasia (founder of Transfigure Custom house) and his team sprinkled their magic on it. 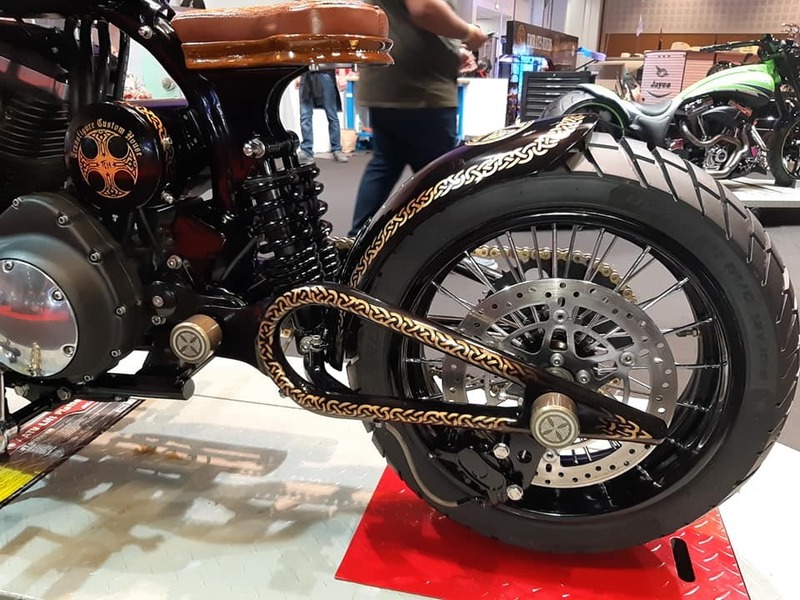 Called ‘Firdaus’, it took some time for this creation to transform from a bone stock Harley-Davidson to this rad looking custom built piece, but the results did pay the efforts. 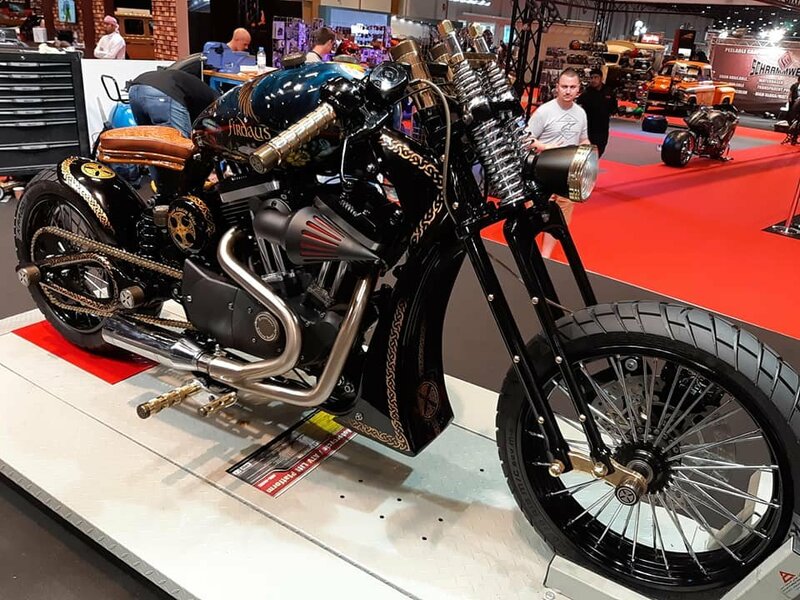 This very motorcycle helped the team win the Middle East Biker build off at the Custom Show Emirates. Think about the global scale of this, an American motorcycle, an Indian custom bike builder, and a Middle Eastern event. Things couldn’t get better. The motorcycle even caught fancy of Harley-Davidson India and they even acknowledged Mr Adil Dumasia and his team’s fine craft via a Facebook post. 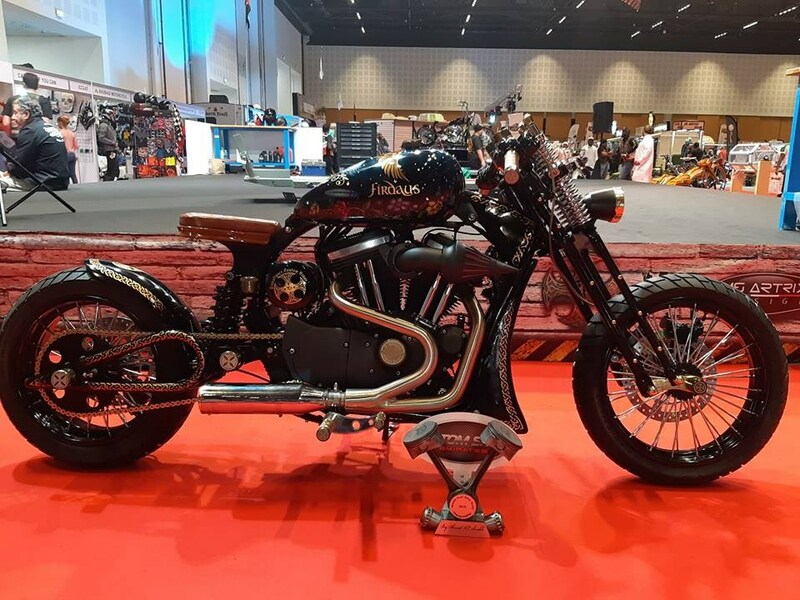 To give you a gist of what goes down at the Custom Show Emirates- It’s the biggest custom car and bike show in the Middle East and is currently in its 5th year. It has also been a platform for b2b and b2c connections between the suppliers and retailers of aftermarket products and tuning. Guess what? The show itself is the strategic partner of the Sema show, USA. It puts the spotlight on the latest and greatest in automotive customisation with a plethora of products on display, be it on two wheels or four, be it engine tuning or the mind-boggling audio systems. Coming back to Fidaus, the showstopper, the motorcycle itself features a host of cosmetic upgrades. From the use of a wooden base for the saddle, the intricacies carved on various panels and components, to the front Springer suspension, sprockets, axles and the hand-fabricated tank, the artwork does justice to the name ‘Firdaus’ which means paradise. The paint job on the fuel tank includes airbrushing the paradise theme which came through really neat from Adil’s imagination. Further, the 24-carat gold leafing and the Swarovski crystals work is the handiwork of the man himself. Oh, not to forget, the crystals have been sourced all the way from Austria and all of this is immaculately sealed with 3 layers of clear lacquer. Well, all these mods obviously add weight and for this particular motorcycle, which is about 30 kilogrammes. However, to back it up, the sprockets are of a larger size and the engine has been tuned to perform better. This one’s to park and stare and attract many more gawks if the rider ever takes it out on the road.